Come see this extraordinary exhibition of more than 40 stunning images by 11 photographers selected by juror Christopher Rauschenberg, a nationally respected force in the photographic arts. Read the review of EXPOSURE by Mark Feeney of The Boston Globe. Also, the review by Elin Spring in her blog, What Will You Remember? Exhibition: July 11 – August 18, 2018; open Wednesdays, Fridays and Saturdays, 12-6 p.m.; Thursdays, 12-8 p.m. 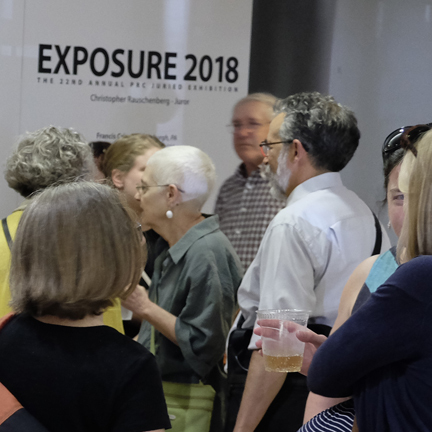 The PRC is excited to announce the opening of EXPOSURE 2018—our 22nd annual juried exhibition, the first after our move to Cambridge and in association with our new resident partner, Lesley Art + Design. The PRC shows several images from a submitted series, thus representing each artist’s series more fully than a single image does, and making for a more enriching experience for audiences as well. EXPOSURE is a terrific chance to discover new talent and ideas in the photographic arts. Themes and topics this year that emerged included family and kinship, memory and aging, identity and sense of place. Christopher Rauschenberg is a polymath and a pivotal figure in the photoworld. 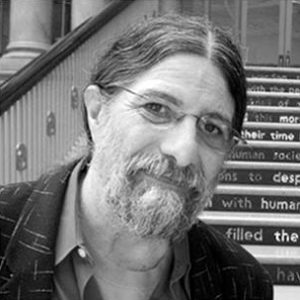 He is a prolific photographer, curator, editor, educator, founder, and current or former board member of multiple significant non-profits. Throughout his career, Rauschenberg has helped to launch, bolster, and support the careers of thousands of photographers and artists. As a non-profit pioneer, Rauschenberg is the co-founder, co-curator, and board chairman of Blue Sky Gallery in Portland, Oregon, where for close to 40 years he has co-curated and co-produced over 720 solo exhibitions and close to 50 group shows. Founded a year before the PRC in 1975 as the Oregon Center for the Photographic Arts, Blue Sky Gallery chooses its artists via its Exhibition Committee, of which Rauschenberg is a member. Rauschenberg is also the co-founder and past president of the biennial photography festival Photolucida, formerly Photo Americas, and has edited and produced some 60 publications. He is also President of the Board of Directors of the Robert Rauschenberg Foundation, so named for his father Robert Rauschenberg. As part of its mission of cultivating emerging and established artists, the Foundation offers the Rauschenberg Residency, a unique program located at the artist’s former Captiva, Florida home and studio. Inspired by Black Mountain College, the Residency annually supports the work of over 70 multidisciplinary artists through a series of month-long residencies. As an artist, Rauschenberg has traveled extensively and been exhibited worldwide. He has had almost 120 shows, authored three books, and has photographs in the collections of multiple major museums. Rauschenberg’s photographic projects include a multi-year and multi-photographer exploration and documentation of the city of Portland, a re-photography project of 500 of Eugene Atget’s iconic images of Paris, and various series that explore museums, collections, flea markets, and more. He is also co-founder and a member of the artist-run co-operative Nine Gallery and represented locally by Clark Gallery. 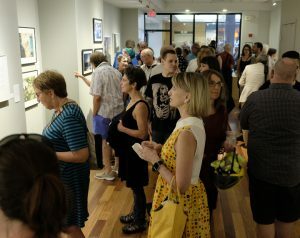 EXPOSURE is a great opportunity to view a slice of the best and brightest as selected by a nationally-renowned juror. 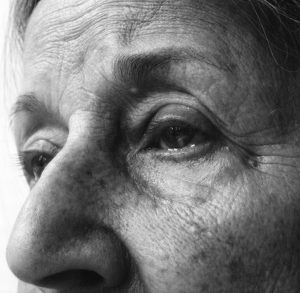 Past exhibiting photographers include Claire Beckett, Dave Jordano, Priya Kambli, Benjamin Lowy, Neeta Madahar, Rania Matar, Irina Rozovsky, Tara Sellios, Steve Smith, Martin Stupich, among many others. You can see more information on and images from past EXPOSURE exhibitions here.